We are yet to see the car or truck you are riding, Mr. Johnson! 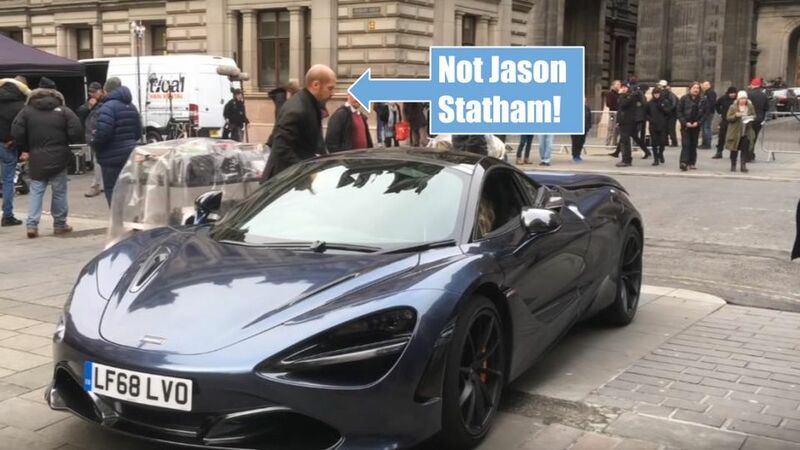 The McLaren 720S was spotted at Glasgow where the Fast and Furious spin-off – Hobbs and Shaw – is currently undergoing filming. You’ll see it in a major chase sequence once the movie releases in 2019. Hobbs and Shaw – the first spin-off to come out of the Fast and Furious universe will release in theaters worldwide on 2 August 2019. Until then, we’ll be getting a steady stream of filming updates from the actioner starring Dwayne “The Rock” Johnson and Jason Statham. The latest one is about a high-octane car chase which is being filmed in Glasgow, Scotland. And McLaren 720S fans have reasons to celebrate. The supercar will be featured extensively in the movie. Shot by YouTuber Aidan Farren-Hart, the footage below shows what appears to be the second-unit wrapping up the chase scene with the McLaren being pursued by baddies on murdered-out motorbikes. Bullets fly and tires screech as the stunt team and camera crew race against time to complete the shot before the sun goes down. 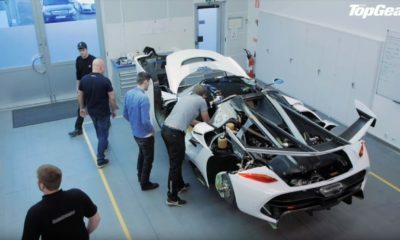 The Porsche Cayenne and Mini Cooper camera cars are also in the footage, doing the tougher job of keeping up with the McLaren 720S, while shooting the scene, without crashing into the $300,000 exotic. We have already got a teaser of what to expect from Hobbs and Shaw with the McLaren 720S casting and vehicular action featuring the supercar. In true Fast and Furious fashion, the action thriller will be stuffed with over-the-top action and lots of cars. None of the big stars were around as this was mostly going to be a day of hard work for the stunt doubles and even a stunt dummy. While Jason Statham’s stunt guy got busy with the evasive driving and handbrake turns, The Rock’s stand-in had to grip a Vanessa Kirby dummy tight while seated in the passenger seat. The plot details of Hobbs and Shaw are scarce. But we do know that Luke Hobbs (Dwayne Johnson) and Deckard Shaw (Jason Statham) will forge an alliance to take on an international terrorist named Brixton, played by none other than the charismatic Idris Elba. Vanessa Kirby will be entering the picture in the role of Deckard’s sister, Katie Shaw. David Leitch whose resume includes John Wick, Deadpool 2 and Atomic Blonde is directing.